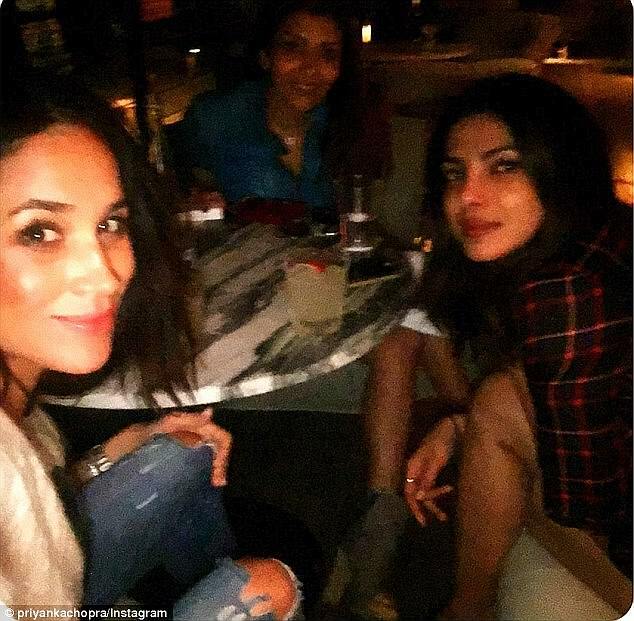 Priyanka Chopra: Meghan Markle is more than a girlfriend | Daily Mail Online: "Her friend is currently one of the most famous women in the world thanks to her relationship with a certain heir to the British throne. But Priyanka Chopra was quick to point out Meghan Markle's personal accomplishments when she was quizzed about the starlet during an interview on the Wendy Williams Show. Apparently disappointed to hear the 35-year-old referred to as 'Prince Harry's girlfriend' by the excited host, who described the relationship as a 'big deal', Priyanka interjected: 'Also Meghan Markle... you know, an actress in Suits, her own achievements...'"